You dont have to be an expert negotiator to land a great deal on a car. Buying a pre-owned vehicle is one of the easiest ways to save thousands of dollars when you buy a car; but, buying a pre-owned fuel efficient car? Well, thats like winning the lottery in which the victory continues each time you fill-up. Finding quality pre-owned vehicles is simple, when you shop with Quirk Pre-Owned. As one of the leading used car dealers in MA, we make sure you find a car you love at a price you cant resist. The secret is out: buying used saves. Buying a pre-owned vehicle with excellent fuel efficiency? Well, we just dont think it gets any better than that. Quirk Pre-Owned has an extensive used inventory laced with premium fuel efficient vehicles so the savings continue down the road. Find top-notch cars, like the 2013 Nissan Altima and the 2013 Hyundai Sonata, at one of your favorite used car dealers in MA, Quirk Pre-Owned. Fuel efficient cars are the Holy Grail of the used car industry; its where you find the most value and savings. The 2013 Nissan Altima is now available at Quirk Pre-Owned. This sedan brings a lot to the table in style and fuel economy. The sleek exterior lends to a strong presence on the road. The superior fuel economy rating of 27 mpg city and 38 mpg highway, will keep you on the road, longer. Certified pre-owned vehicles provide the extra assurance that the quality of your vehicle meets the Quirk standards. 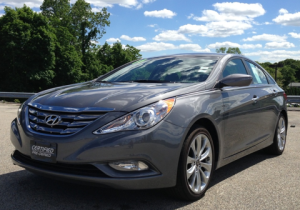 The 2013 Hyundai Sonata is a certified pre-owned car that offers an unbelievable fuel economy rating of 35 mpg highway. Vehicles undergo a thorough inspection in order to be considered certified; giving you the confidence you need when you purchase a car. Find a fuel efficient used car from Quirk Pre-Owned, one of the leading MA used car dealers; the only thing youll be spending your money on is a bigger wallet. For more information about one of your favorite used car dealers in MA, or call us at (877) 466-1512 today!